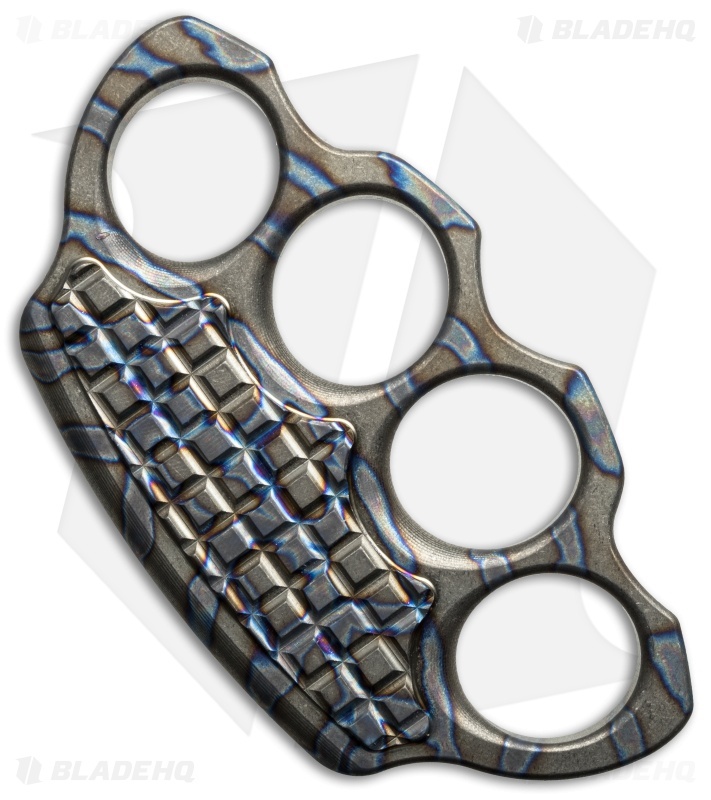 This stylish paperweight/knuckle from Tony Marfione at Microtech knives is an excellent accessory for your desk. It is made from a solid piece of 1/2" thick titanium that has been ergonomically milled for comfort. 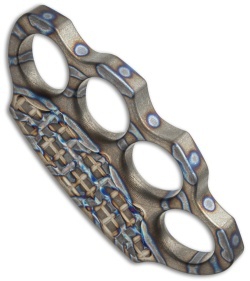 Each piece has a unique heat colored finish, and will vary from the picture. 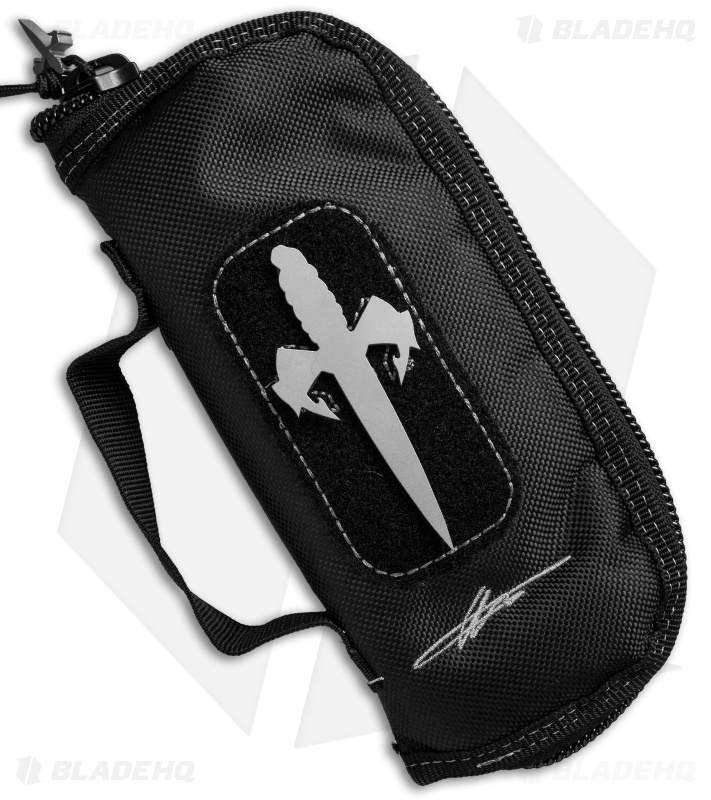 These come in a super high quality Marfione padded zipper case and metal Marfione dagger patch.